Lecturer at Department of Library Science, Chulalongkorn University. Research interests: change management, organizational culture, and KM. I am currently working as a lecturer at the Department of Library Science, Faculty of Arts, Chulalongkorn University, teaching Library Management and Knowledge Mangement module. My research interests embrace organizational development, change management, knowledge management, and organizational culture in the LIS field. 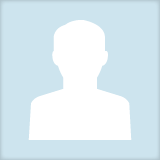 Saowapha Limwichitr updated their profile information. Saowapha Limwichitr added interests Organizational Cultural Change, Knowledge Management, Change Management and more.